Water and energy are intricately connected. Producing energy uses and pollutes large amounts of water. Likewise, providing and using water requires large amounts of energy. Throughout the 20th century, the connections between water and energy were largely ignored. Water systems were designed and constructed with the assumption that energy would be cheap and abundant. Likewise, energy systems were developed with the assumption that water would be cheap and abundant. And while some have long argued that we would reach peak energy and more recently, peak water, assumptions about abundance were the status quo. The era of abundance is coming to an end and is being replaced by the era of limits. Conflicts between energy production and water availability are on the rise, even in areas not traditionally associated with water-supply constraints. Additionally, rising energy costs and concerns about greenhouse gas emissions are forcing some water managers to seek ways optimize the energy efficiency of their water systems and reduce overall water use. The Pacific Institute conducts research on various facets of the water-energy nexus to better understand the barriers and opportunities for integration and to develop tools to promote integrated water and energy policy and decision-making. Nearly twenty years ago, Dr. Peter Gleick developed water use factors for various forms of electricity – numbers that are still used today. The 2004 study Energy Down the Drain, co-authored by the Pacific Institute and the Natural Resources Defense Council, was among the earliest reports to quantify the energy requirements for water systems in California. 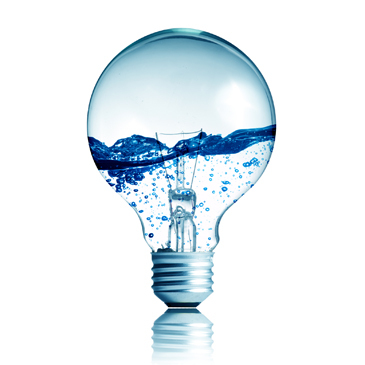 The 2011 study, Water for Energy: Future Water Needs for Electricity in the Intermountain West, examined the water requirements for current and future electricity generation within the Intermountain West and identified strategies to reduce water-energy conflicts in the region.